Break away from your mundane daily routine and depart from the Yale-NUS College bubble to explore a culmination of all that is new, refreshing, and scintillating in Singapore’s flourishing art scene. The Octant Arts Editor has put together a list of four upcoming art events to attend in the coming months. Similarly captivating is Chua’s (1947-2008) gallery, the physical manifestation of the acclaimed late artist’s historical background as one of Singapore’s leading ink painters. Chua’s affinity with water is paralleled in his ink illustrations where it is a prevalent motif: watery reflections, lotus ponds, and rain are emblematic of his works. The symbolic value of water also alludes to the potential for growth and renewal upon the overcoming of adversity, reflecting Chua’s personal artistic journey. Together, the duo’s galleries continue inspiring and captivating audiences in a contemporary setting, in which Chinese ink painting is gradually being rendered obsolete. Witness as art transcends time yet again by shedding its previous limited capacity of the traditional pen-to-paper and embracing its newly-enhanced technologically digitized form. ArtScience Museum will soon unveil Future World, a concoction of multitudinous interactive artworks and digital experiences. Featuring 15 magical installations in total, this exhibition is a collaboration with teamLab, a globally renowned Japanese group of ultra-technologists and a multi-award winning art collective. Be stunned as you enter an ostensibly infinite field of luminous flowers in Flutter of Butterflies Beyond Borders. A combination of three different artworks, this stunning virtual environment is inspired by the manifold interactions between human actions and the natural realm. By visually depicting the transience of delicate flowers, the work parallels nature’s endless cycle of growth and decay. Furthering the theme of perpetual change is the installation’s digital adaptation and evolution where it progresses alongside that of the temporal seasons, connoting vibrancy rather than stagnancy. Another technological feat of wonder is Crystal Universe, an interactive installation which re-creates the dazzling cosmos around you at the touch of a finger. A permanent exhibition, ArtScience Museum will unveil Future World on March 12, 2016. From March 12, 2016 onwards. 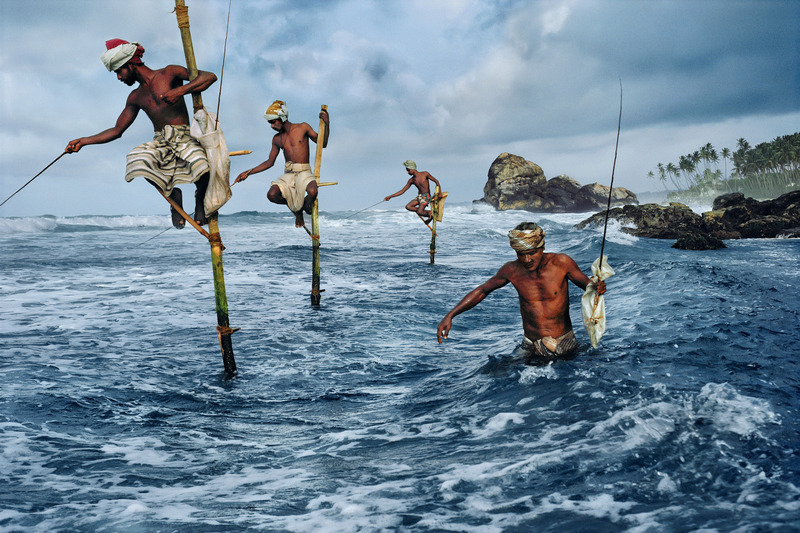 Immerse yourself in the evocative color images of world-renowned American photographer Steve McCurry in the latest exhibition by Sundaram Tagore Singapore. Known for being the first photographer to bring the world images of the Afghan conflict, McCurry’s photo subjects span across the globe, covering areas of international and civil conflict, and documenting ancient traditions and vanishing cultures vis-à-vis contemporary culture. Having personally selected fifty-three photographs for this particular exhibition, McCurry’s works might diverge geographically—with images from Afghanistan, India, Turkey, Tibet, Sri Lanka, and more—but remain ever accessible in their transcendence of cultural boundaries, through their individualistic encapsulation of the human condition. He has been honored with some of the most prestigious awards in the industry, including the National Press Photographers Award, four first prize awards from the World Press Photo contest, and the Robert Capa Gold Medal. Most recently, the Royal Photographic Society in London awarded him the Centenary Medal for Lifetime Achievement. His exquisite use of vivid color, and unwavering commitment to capture the quintessence of his subjects, have made his images timelessly captivating for generations of viewers. Be regaled by the unforgettable tale of heartbreak, passion and the resilience of the human spirit against the captivating historical backdrop of 19th century France. Based on Victor Hugo’s classic novel, it brings the much-adored characters to life in a blockbuster musical, which has been seen by over 70 million people worldwide in 42 countries, and in 22 languages. One of the world’s greatest musicals, Mackintosh’s new production features glorious modernized staging, orchestrations and dazzlingly re-imagined scenery inspired by paintings of Victor Hugo. Prepare to weep with heart-wrenching sorrow in one moment, as you revel in the glorification of the shared human triumph in the next. 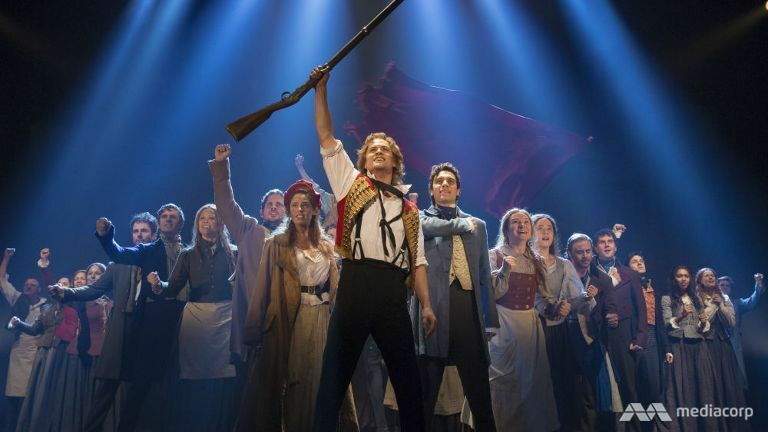 Summed up in four words, Le Figaro, Paris, succinctly makes its case—“Magnificent Misérables—Artistic Perfection”, indeed.